As indicated by the name, Fruity Casa Casino is a fun, colourful casino offering an assortment of slots, scratch cards and more. With a fruity logo that looks like something out of a confectionary company, Fruity Casa is an established brand on the market and is licenced by the government of Curacao and the UK Gambling Commission. 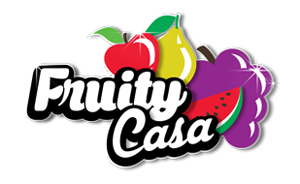 First established in 2000, Fruity Casa is a well-respected brand with over 16 years’ experience in the industry. Throughout this period, the casino has consistently met the needs of its players and provided access to the world’s most popular online casino games. A range of different software providers are available in addition to a real live casino. The casino is available in a number of languages including English, German, Norwegian and Swedish. There’s an abundance of video slots on Fruity Casa delivered by multiple providers, including NetEnt. Titles including, TwinSpin, Aliens and Boomanji, alongside other bonus slot favourites. Progressive jackpots are also available including Mega Fortune. Traditional spin players can enjoy plenty of classic three-reel games such as Starburst. There are three variants of bingo available, all of which are fast draws, in addition to a large scratch game selection. Table players might find their enjoyment is rather limited at Fruity Casa. There’s Roulette, Blackjack, Baccarat and Texas Hold ‘em on offer, however these tend to be traditional versions of the games rather than v.
Games are provided by NetEnt, Betsoft, Quickspin and NextGen Gaming meaning that quality is not lacking when it comes to what’s on offer at Fruity Casa. Additionally, games can also be played whilst on the move on iPhone, iPad or Android devices, including Jack Hammer 2 and Mega Fortune. The mobile casino is accessible via the Fruity Casa website or on compatible smartphones and tablets. Fruity Casa welcomes new players with a 150% bonus on their first deposit up to €250, as well as 10 free spins available to play on the popular slot game, Gonzo’s Quest. A loyalty program is also in place in the casino, with players receiving 500 points immediately after first deposit, which equates to €2.50 in bonus money. Players will also receive emails containing different offers and bonuses. All well-known banking and payment options are taken by the casino, including Visa, MasterCard, Maestro, Skrill and Neteller. Fruity Casa protects its players using an SSL encryption on all pages which require personal information. This is the favoured method of encryption for online casinos. Games are regularly audited by third parties in order to meet the requirements enforced by the UK Gambling Commission. Fruity Casa is renowned for its customer support and offers a live chat service between the hours of 10am through to midnight. Players can get into contact with support staff through the email address which is accessible 24/7. The third method that players can interact with the casino is by creating a support ticket explaining the problem or question. Players have to be logged in to create the ticket. There is no phone line for customer support.